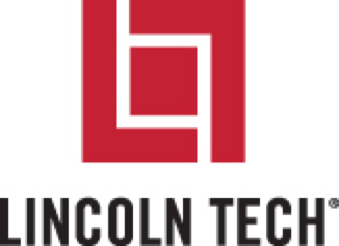 In-depth Lincoln Tech courses are designed to grow with the changing expectations of today’s job market. Flexible daytime and evening programs are offered to accommodate your busy schedule. At Lincoln, you’ll find career training for a variety of fields, such as Auto and Diesel Technology, Welding, Manufacturing, HVAC, Electrical, Health Sciences, Business & Information, Culinary Arts, and Spa/Cosmetology. Lincoln stands apart from other schools in a variety of ways. The training programs emphasize first-hand, interactive learning activities – you’ll learn by “doing the job before getting the job”. Lincoln’s certificate, diploma and associate degree programs have been designed to accelerate your education and entrance into the job market. Lincoln students earn valuable on-the-job experience before many of their peers outside the school. Lincoln’s instructors are an invaluable asset to the students because they possess a combination of seasoned teaching skills, subject matter expertise, job site experience and passion for their field. In addition to providing excellent career-specific training, Lincoln also cultivates partnerships with important local industry contacts. When you prepare to graduate, Lincoln’s Career Services Specialists assist in finding your best opportunities. Lincoln Tech’s dedication to your success sets our schools apart from the competition. Your Lincoln education will set you apart from others entering the field when you graduate! Lincoln Tech’s Electrician and Electronics training programs are designed to meet society’s continuous demands in business and residential settings. High and low-voltage electrical systems are essential to everyday life, and opportunities for qualified electricians continue to grow as emerging energy technologies develop. Three different program options, based on campus location, give you the chance to prepare for installation and service of residential, commercial, and industrial systems. Electricians and electronics systems technicians are needed at private homes, construction sites, large corporations, schools, hospitals, airports … just about everywhere! Important information about the educational debt, earnings, and completion rates of students who attended a Lincoln campus and enrolled in a program can be found at: www.lincolntech.edu/LincolnConsumerInfo.